The Journal of Risk and Financial Management (JRFM) was formerly edited by Prof. Dr. Raymond Cox and published by Prof. Dr. Alan Wong in print (ISSN 1911-8066 for print edition) and online (ISSN 1911-8074 for electronic edition) in one yearly volume from 2008 until end 2012. MDPI has taken over the publication of this title on 1 October 2013. Articles published prior to 1 October 2013 on www.jrfm.us have been transferred onto the MDPI platform and left unchanged. MDPI will continue to publish the online edition only. The Journal of Risk and Financial Management (JRFM, ISSN 1911-8074) adheres to rigorous peer-review as well as editorial processes, and publishes leading research on financial management and risk management. The goal of JRFM is to enable rapid dissemination of high impact research to the scientific community. 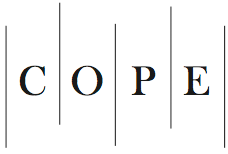 JRFM is a member of the Committee on Publication Ethics (COPE). MDPI takes the responsibility to enforce a rigorous peer-review together with strict ethical policies and standards to ensure to add high quality scientific works to the field of scholarly publication. Unfortunately, cases of plagiarism, data falsification, inappropriate authorship credit, and the like, do arise. MDPI takes such publishing ethics issues very seriously and our editors are trained to proceed in such cases with a zero tolerance policy. To verify the originality of content submitted to our journals, we use iThenticate to check submissions against previous publications. MDPI works with Publons to provide reviewers with credit for their work. Announcements regarding academic activities such as conferences are published for free in the News & Announcements section of the journal. Advertisement can be either published or placed on the pertinent website. For further information, please contact the editorial office.